U-M is acting on a new set of recommendations, including the development of custom training for all faculty and staff, that focus on understanding and reducing sexual and gender-based misconduct. These efforts are in alignment with the university’s commitment to fostering an environment where all members of the campus community are safe and feel respected. During Thursday’s board of regents meeting, President Mark Schlissel announced the effort and introduced a new awareness campaign created to address sexual misconduct and educate the entire U-M community — including Michigan Medicine, UM-Dearborn and UM-Flint. Earlier this year, Schlissel charged the Working Group on Faculty and Staff Sexual Misconduct with reviewing existing programming and activities related to sexual misconduct, and developing recommendations for faculty and staff education and training. The group is co-chaired by Laurita Thomas, associate vice president for human resources, and Daniel Little, former chancellor of UM-Dearborn. Investment in a comprehensive sexual misconduct training and education approach that includes training for all faculty and staff. Currently training for existing faculty and staff is voluntary. Training will now be required for all faculty and staff, which is approximately 48,000 people. The first part of the required education and training program will be released later this fall, and will help faculty and staff better understand the many forms of sexual misconduct, including sexual assault, sexual exploitation, intimate partner abuse, stalking, sexual harassment and intimidation or retaliation. The aim is to raise awareness and deepen knowledge of avenues to report and get support across the university. 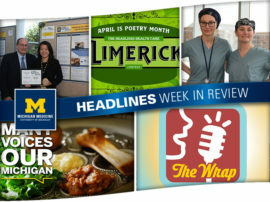 A centralized website devoted to sexual misconduct reporting, prevention and education that can be easily accessed by all members the U-M community. 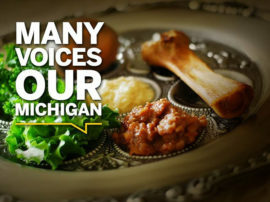 That website is now live, and prominently linked to from the U-M Gateway and other major university pages. It includes a video message from university leaders. Additional communications on these important issues will occur throughout the year. A summary of the working group’s report is available online. Regent Andrew Richner, chair of the board of regents, called the university’s latest efforts crucial to the evolution of the university’s commitment to preventing and reducing sexual misconduct. Regent Denise Ilitch thanked the university administration and staff for working so hard on this ongoing prevention commitment. “Please remember these words: Support and report,” she said. Provost Martin Philbert reiterated that the university’s mission of education, research and service requires that every member of the campus community feels welcomed, valued and able to work free from the threat of sexual misconduct. Schlissel also commissioned an outside expert to review U-M sexual misconduct policies and make any necessary recommendations. The work is ongoing. 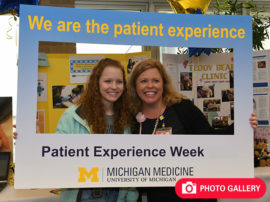 Additionally, Michigan Medicine has instituted increased levels of review and scrutiny around credentialing, hiring and chaperoning processes for faculty and staff providing direct patient care. Patient concerns will be escalated and reviewed by clinical leadership. More broadly, sexual misconduct was a primary topic of a recent leadership retreat, where education and research were presented to raise awareness and encourage dialogue about gender bias and sexual harassment. 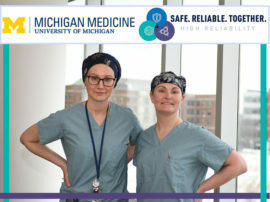 Michigan Medicine also is convening an Accountability Task Force, led by Human Resources, to evaluate the culture and climate and provide recommendations for improvement. The changes outlined by the president are an extension of the university’s ongoing review of policies and procedures in this area. Efforts to make student sexual and gender-based misconduct policies easier to understand were announced earlier this year. Those changes included revising definitions of gender-based harassment and intimate partner violence, changing responsibility for determining sanctions from a volunteer board to staff at the Office for Student Conflict Resolution, and clarifying when mediation may be used as a voluntary alternative resolution option for non-penetrative cases of sexual assault. The president also said the university has been carefully considering how to respond to the recent ruling by the Sixth Circuit Court of Appeals that when credibility is at issue in student sexual misconduct cases, a public university must give the accused student an in-person hearing with the opportunity for the accused student or his attorney to cross-examine the accuser and witnesses at the hearing. “We have carefully reviewed the Sixth Circuit decision, which includes a significant dissent from one of the circuit judges. While we believe that our current, single-investigator model is fair and consistent with prior legal precedent, the Sixth Circuit disagreed,” Schlissel said. “The university is always striving to create a safe, educational experience for all of our students, while also providing policies and procedures that protect the rights of all of our students. “Accordingly, we have decided that the most prudent approach in response to the Sixth Circuit’s ruling — the one that strikes the best and most equitable balance between providing a safe educational experience and ensuring fair policies and procedures — is to seek rehearing from the Sixth Circuit panel that rendered the adverse decision, or from all of the Sixth Circuit judges, to clarify that no student has a constitutional right to a direct, cross-examination.